"Customer Service is of utmost importance to us also quality control which is why we do EVERYTHING on location and we don't outsource." We are right off of 17S, next to the Buono's Bagels. We do all the work onsite! "We found out about V&S Cleaner's Free Pickup and Delivery Service from the web. My husband and I thought it would simplify our lives. We called the store, spoke to Mark and set up a time for him to come to our home to discuss the service. Super nice guy and we signed up that day. We couldn't imagine a life without this service now!" 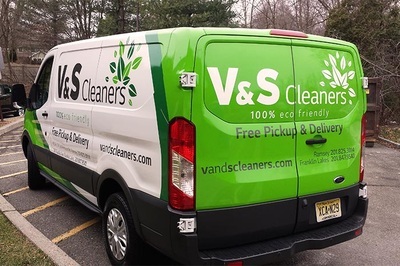 "As soon as Mark came to our house and discussed our options for the Free Pickup and Delivery Service we just knew we found the right cleaners for us... finally. He was able to fit us into his route and begin the following week. We are beyond pleased with the service"